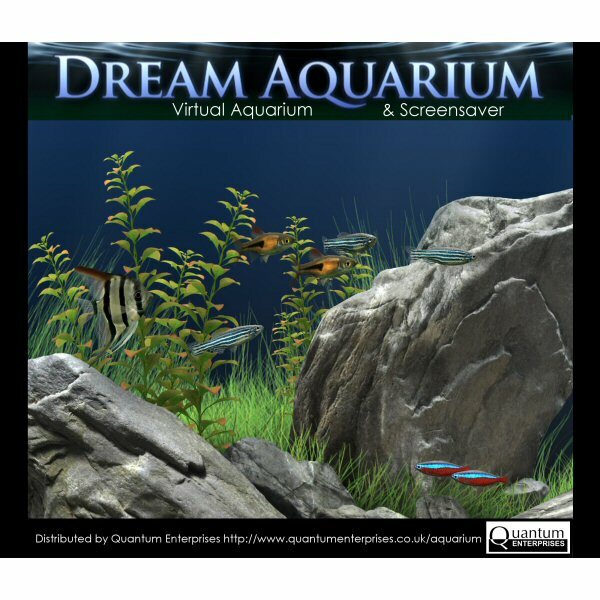 Dream Aquarium Screensaver - Full Version (Serial Number) - Unique gifts and corporate services. Making this purchase will provide you with a serial number only, which you must enter into the free version of the software. Use the link below to download the free version if you do not already have it. Use the payment button below to make your purchase. 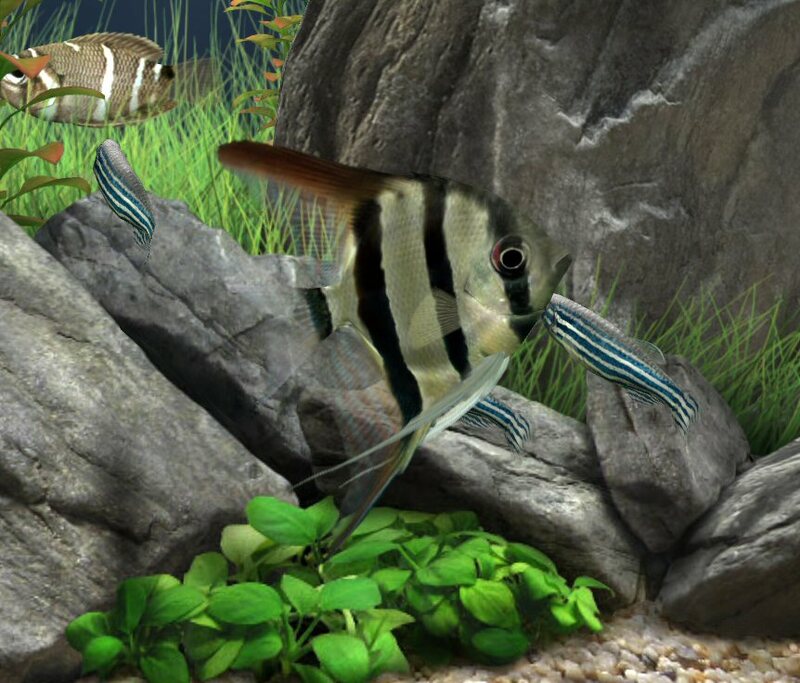 You will receive your Dream Aquarium serial number ON SCREEN automatically upon purchase. Note: If you require more than one serial number, please make separate purchases. IF YOU DO NOT RECEIVE YOUR SERIAL NUMBER - PLEASE DO NOT CONTACT DREAM AQUARIUM DIRECTLY AS THEY ARE NOT RESPONSIBLE FOR PROVIDING IT. IF YOU HAVE ANY PROBLEMS, PLEASE CONTACT QUANTUM ENTERPRISES. 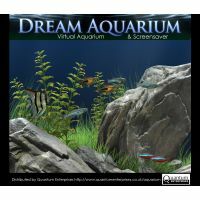 Please note: Dream Aquarium will require an internet connection to download the full featured version after entering the serial number. After that it no longer requires an internet connection. If you experience problems, or have other purchase-related questions, see our Troubleshooting Guide. The World's Most Advanced Virtual Aquarium! 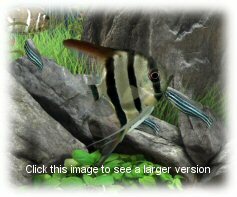 Dream Aquarium is a next-generation virtual aquarium & screensaver that brings the beauty of lush freshwater aquariums to your computer with unsurpassed realism. If you don't believe us, play the video above*, which shows off the amazingly realistic behavior and motion of Dream Aquarium's virtual inhabitants. These are not real fish! They are 100% computer generated fish doing everything that real ones do - pecking at objects in the tank, eating food, chasing each other, swimming amongst the plants, hanging out in schools and enjoying life! The most realistic fish motion and behavior of any virtual aquarium. A fiddler crab that cleans the bottom of the aquarium and chases fish. Fish have articulated fins, moving eyes, gills and mouth. Beautiful shifting light rays, ground ripples, gently waving plants that fish can swim into, soft shadows cast by fish, configurable bubble streams, auto or manual feeding. Add well over a hundred fish (from 23 species), and change settings without having to exit the aquarium. Screensaver contains NO adware or spyware. Widescreen formatting, multi-monitor support & much more! Use the payment button below to make your purchase. You will received your Dream Aquarium serial number automatically upon puchase. The serial number unlocks all of the features. Please note: Dream Aquarium will require an internet connection to download the full featured version after entering the serial number. After that it will no longer requires an internet connection. If you experience problems or have other purchase-related questions, see our Troubleshooting Guide. 37 Backgrounds for your Dream Aquarium tank. We also present 37 top quality backgrounds for your Dream Aquarium tanks. These are PHOTOGRAPHS of REAL AQUARIUMS and therefore add an extra dimension of realism to your virtual aquarium. The images are at least 1920 pixels x 1080 pixels, but don't worry if your display it set to a different resolution - Dream Aquarium will automatically adjust the image to best suit your screen size.